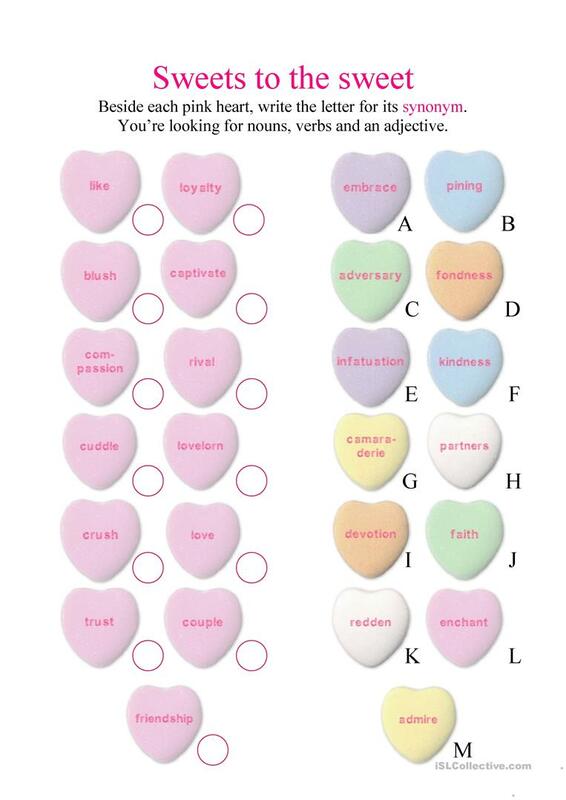 Match the pink candy hearts to their synonyms. The present downloadable printable is a great resource for elementary school students at Pre-intermediate (A2) and Intermediate (B1) level. It is a valuable material for developing your students' Reading skills. Carlav is from/lives in Canada and has been a member of iSLCollective since 2012-02-13 16:17:12. 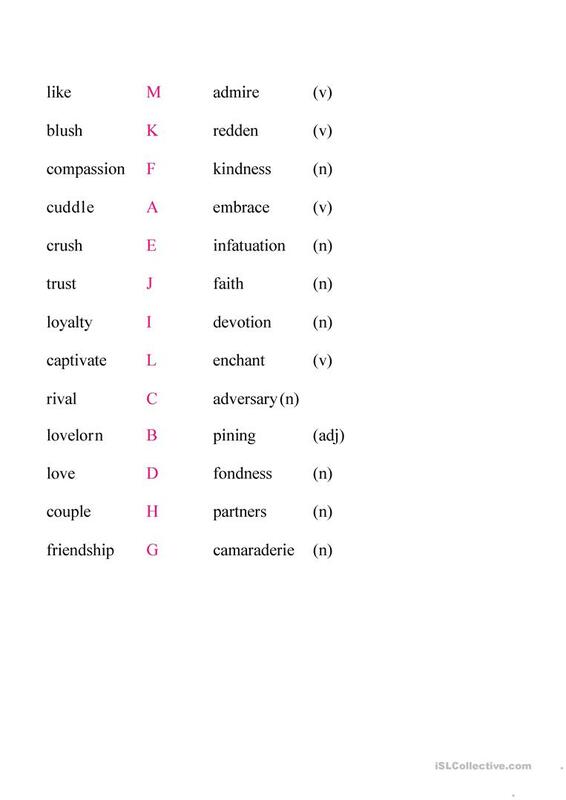 Carlav last logged in on 2012-02-19 05:11:54, and has shared 3 resources on iSLCollective so far.